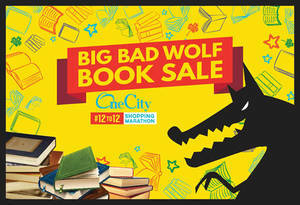 The Big Bad Wolf is back with a sharp new look, ready to hunt down the best book deals. 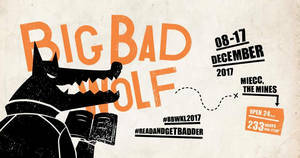 Get ready for the return of the Big Bad Wolf this September! 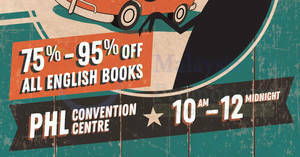 The GREATEST book sale in the world returns to Melaka with 75% – 95% off all books! AWOOOOOOOOO! He’s BACK! 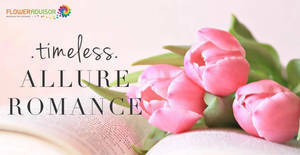 He’s heard your cries loud and clear! You’ll soon find out what he was up to while he was away >) Get ready for a whole new experience this year, with newer, badder books at 75-95% off. 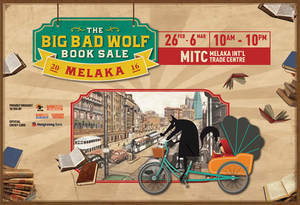 The Wolf has returned to Malaysia…and now the all-you-can-read book buffet begins! 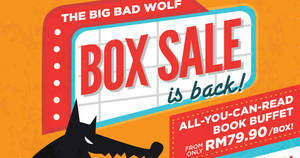 Sink your teeth into a mouthwatering selection of books from just RM79.90 a box. You pay a flat price, then keep every book you can safely fit inside! 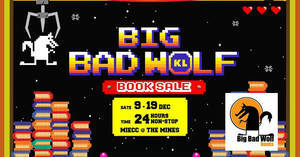 The Big Bad Wolf Book Sale IS BACK IN KL, the city where all the awesomeness began…and it’s Bigger, Badder and Levelled Up! 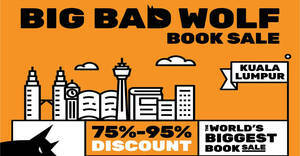 Look out for 4 Million Books at 75% – 95% Off! 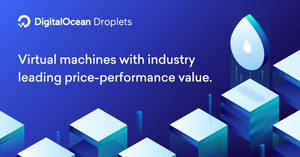 Are you ready for more BIG Wolf Picks with even BIGGER savings? Get ’em all at the First-Ever Sale in Subang Jaya, The Square @ OneCity, USJ25 from 16 – 26 June, 12pm – 12am! 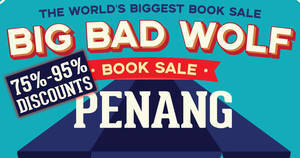 The Big Bad Wolf will be having a Book Sale at Penang Times Square from 30 Marchto 10 April2016, 10am to 10pm. 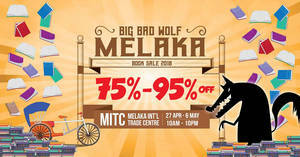 The Big Bad Wolf will be having a Book Sale at Melaka International Trade CentreSerdang from 26 February to 6 March 2016, 10am to 10pm.